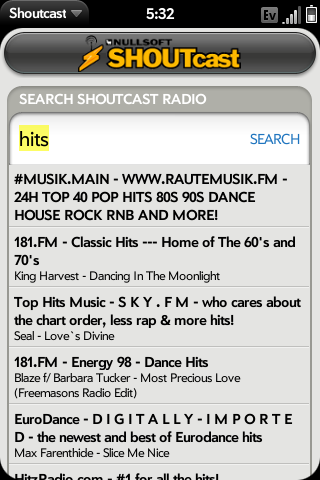 SHOUTcast is one of the world's most popular source for streaming internet radio. 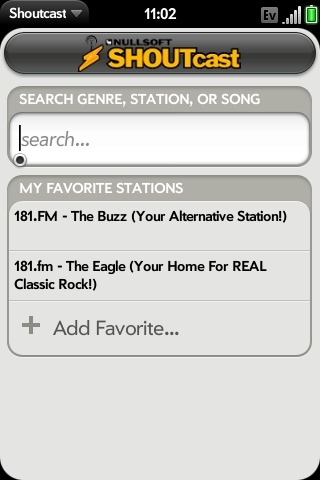 With access to over 20,000 different radio stations, you will be sure to find something you like. 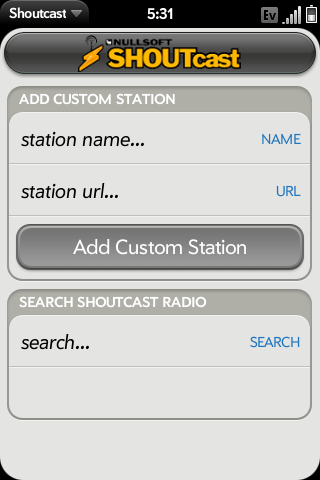 SHOUTcast for the Palm Pre will allow you to easily listen to any station of your choice. 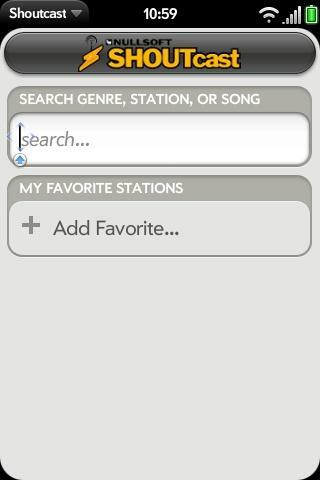 Search for any station you like and add your favorite stations to the start page. 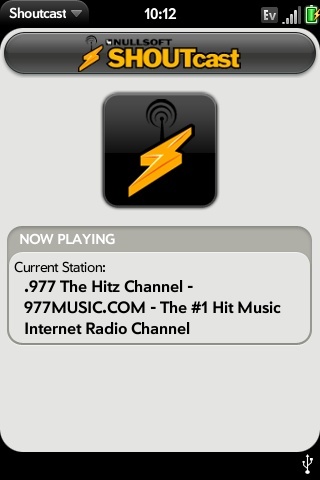 New in version 0.4, a 'Now Playing' screen to play the music so a separate window is not needed to play the music.